As MacNamara points out, how one approaches a situation matters. Coming with more of a “scarcity mindset” (there is not enough, there is not enough to go around, not trusting others, being protective of one’s resources, etc.) to the endeavor of collaboratively making change will lend itself to certain approaches. Coming with a sense of gratitude for what one (or “we”) already has, a willingness to share and eagerness to learn what others have to offer, is likely to yield different approaches and options. Of course, scarcity can be very real, and there are moments to be careful and protective. The strategic question, I suppose, is whether that is a default approach and reaction and whether being intentionally grounded in abundance, gratitude and generosity might actually yield more of what we are looking for. There is interesting research in the field of positive psychology that shows how gratitude and being more open in one’s approach can create more opportunities. Where would you put your change effort/community on the scale of scarcity to abundance thinking? How is scarcity and abundance thinking distributed amongst different stakeholders? Why is this so and how does it matter? How one defines capital, wealth, and abundance matters. MacNamara highlights the work of permaculturalist Ethan Roland and others to expand how wealth is understood. For example, Roland names eight different forms of capital: intellectual, spiritual, material, cultural, material, social, living, and experiential. MacNamara adds health and well-being capital to these. The point is to see wealth and assets from a whole systems perspective and to help people see their own resource-full-ness in a different light, not defined by others and more narrow understandings. Furthermore, looking at capital in a more multi-faceted way can help people understand the connections between these and how they do and can create one another. It can help direct attention not simply to lacks, but “what is flowing” and how this might be leveraged. How are wealth and resources currently being defined, recognized and shared in your change effort/community? How does this play out among different stakeholder groups? What does this make possible or inhibit? How one sees and understands “problems” and opportunities matters. One of the most exciting and challenging principles for me in permaculture is the idea that “the solution is the problem.” In other words, every problem when viewed in a certain way may have seeds of opportunity or the solution to another challenge. This is what is behind the idea of re-purposing what is otherwise “waste” as food for another part of the system (compost, recycling, orthogonal thinking). Again, this can be tricky given different systemic perspectives and social inequities. Recasting someone else’s problem as an opportunity is not necessarily the idea, and can certainly become the source of more problems. But working to see what at first blush seems like a problem, or a particular kind of problem, in broader and more opportunistic terms strikes me as smart and strategic. This is what has led some people, for example, in those areas more impacted by rainfall from climate change to think less in terms of simply mitigating floods to becoming harvesters of water. Artists know that abundance thinking can help recast “constraints” as catalysts of creativity. How are problems being defined in your change effort/community and by whom? Would turning these over and looking at them in a broader systemic context yield opportunities? Thank you Curtis, insightful as usual. I think the shift in perspective that you propose makes ALL the difference in the world. The mindset matters, it defines how we engage. I know that miracles happen and the impossible becomes possible when we shift away from a scarcity mindset. I often remind groups that love and trust, attention and connection are the currencies that make us rich, and that it is up to each one of us to decide how much of that we can give. Great post. 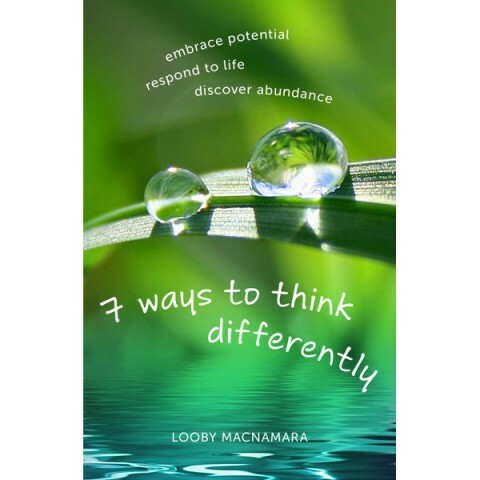 I hope you won’t mind, I shared an extract of it on one of my blogs (http://colabdudley.com/2015/01/20/abundance-thinking-for-change/). I do love the link to permaculture. I’m involved in a couple of different projects with residents in their neighbourhood contexts, and I’ve been astounded at how things shift when you have an abundance (but still critical) mindset. Reliance on, and even conversation about or focus on, funding or money dramatically decreases. Thanks so much for your comment and for sharing the extract. I look forward to checking out Civic Systems Lab and Tessy Britton’s work more closely. Appreciate you passing that along as well.